I’ve read some eye-opening books during 2017, but none more so than Oliver James’ Not In Your Genes. Subtitled “The real reasons children are like their parents”, the book reveals the truth about how little impact genes have on the way we turn out as people. At the core of this is the seemingly-little-known revelation that genes play no part in things like mental illness, our skill at various things like sport or music, or what we enjoy learning at school. The fact that conditions such as depression or ADHD are not at all genetic and inherently down to nurture is a bit of a shock. 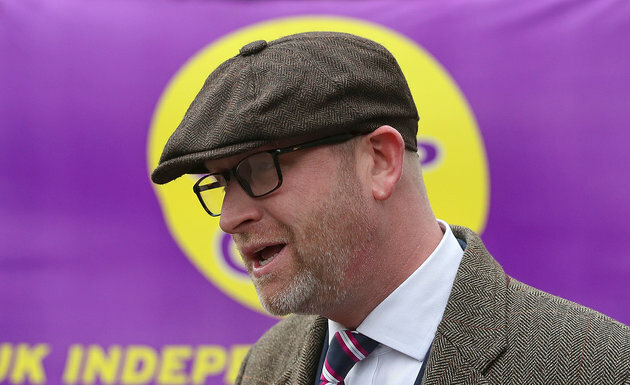 It probably won’t be a surprise to find I don’t particularly warm to Paul Nuttall and UKIP. I don’t agree with their politics, so have very little time for them. However, recent news has made me have even less respect for the UKIP leader than ever. I’m not talking about his pretence that he had close friends who apparently died at Hillsborough, which is pretty indefensible anyway. Are we all inherently racist? 2016 has been a funny old year. In the UK, much of the focus has been on the number of famous people who have died during the first half of the year (many unexpectedly, eg Prince, Bowie). However, the event with possibly the longest-lasting consequences – in the UK at least – was the vote to leave the EU, ie Brexit. As close as the final outcome was (52% v 48%), the result could have hardly been considered a surprise. And the underlying reason is clear: racism. They’re part of the vernacular, phrases that just trip off the tongue… and yet they’re pure lies. The kind of falsehoods we all rely on. Author robPosted on September 9, 2016 September 9, 2016 Categories psychologyLeave a comment on Are we all inherently racist?